It’s time to fire up the grills! 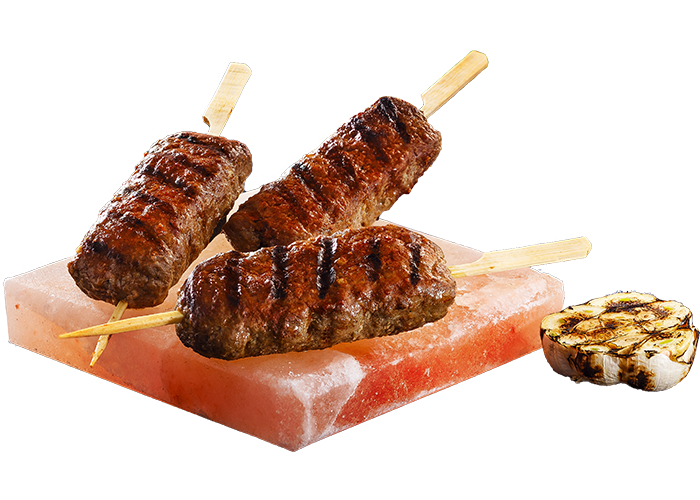 Because we have the freshest frozen meat specialties, for the most demanding BBQ aficionados! 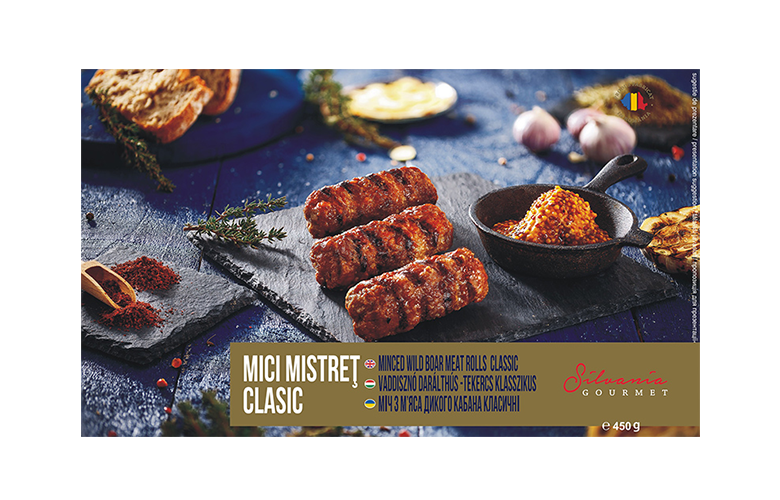 The specialties are prepared according to genuine Romanian, Oriental or Western recipes. You can pick from a wide range of textures, shapes and flavors, to turn your grill into a musical staff for your taste! If you’re a true gourmand, our selection will overwhelm you. Patience is most often the most valuable ingredient. 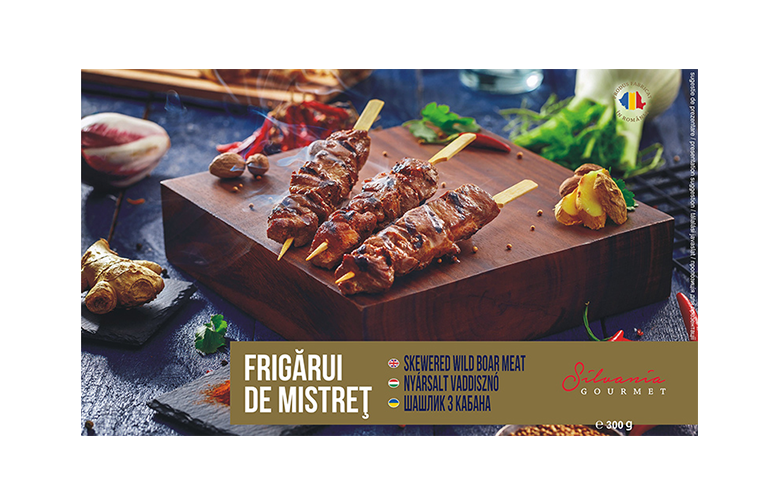 Leisurely left to marinate, in rich blends of thyme, pepper, and garlic the wild boar skewers receive an irrésistible taste. 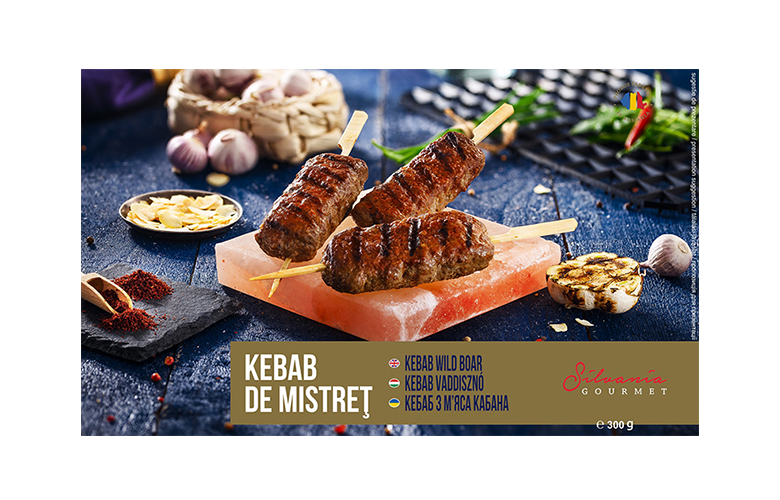 wild boar pulp (90%), water, sunflower oil, spices, salt, glucose syrup powder, preservative (sodium acetate), antioxidant (sodium citrate), natural identical flavors (citrus aroma, meat flavor). 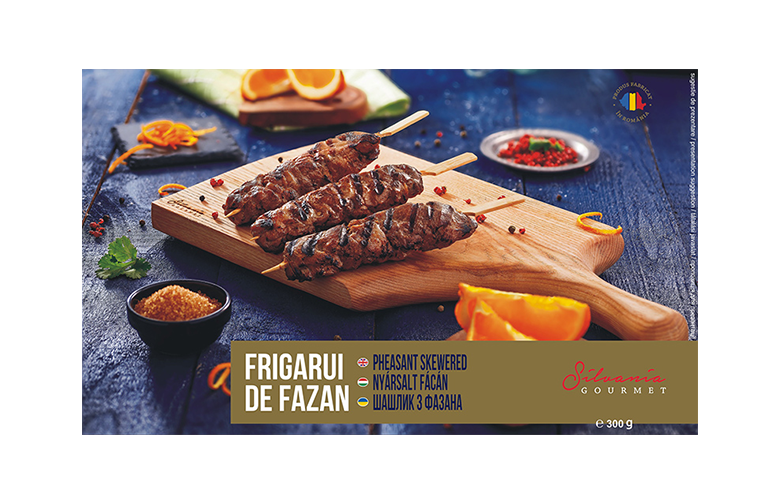 A notorious relish that gained its popularity throughout the ages on the grills of the Romanian people. 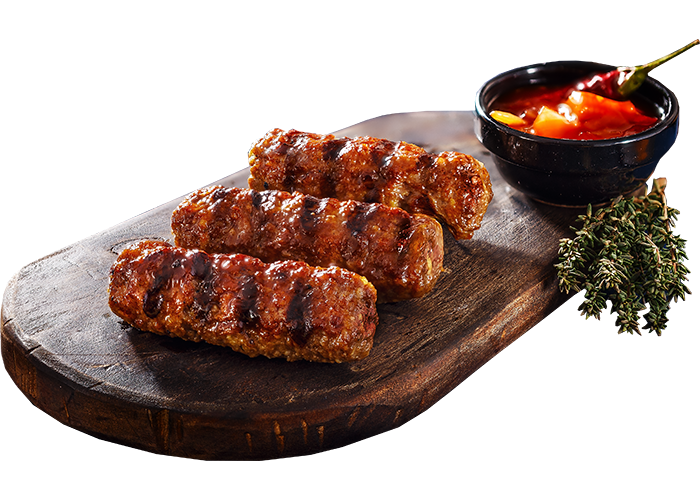 Only the paprika, thyme, pepper and of course, the garlic wake up the wild boar’s tender aroma: Magnifico! 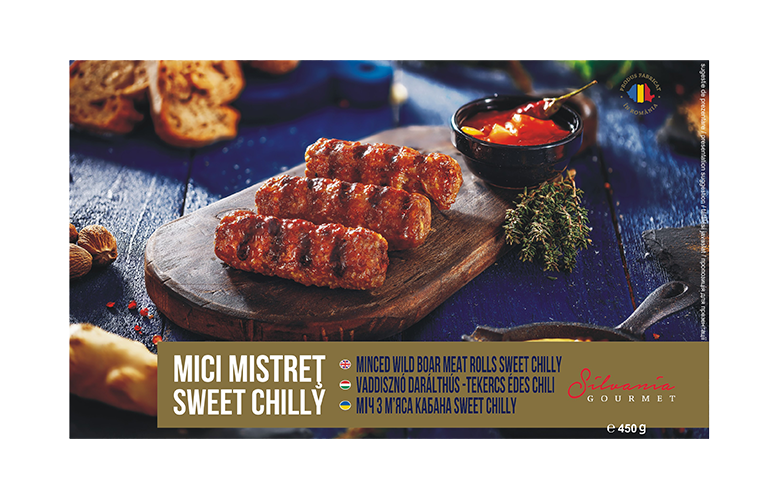 A blend of tastes that conquered many nations, the sweet chili sauce best highlights, the sweet taste of the wild boar venison. We invite you to try it ! 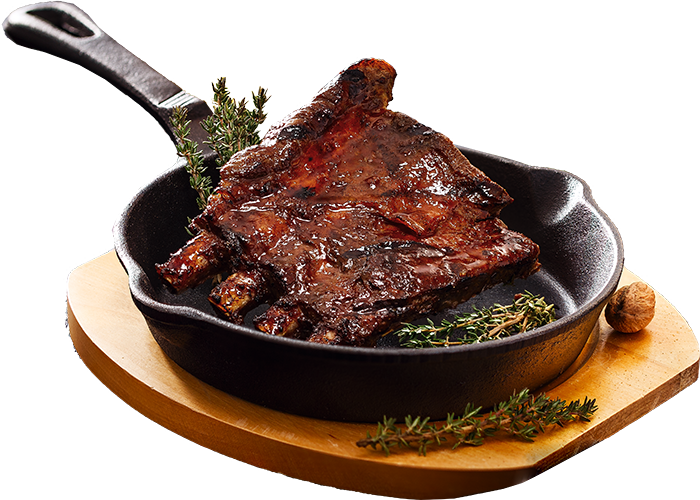 The sweet and mellow, but yet swift and daring taste of the sweet chili sauce, rounds up perfectly the tenderness of the boar ribs. Best served next to a good wine, as much as the appetite requires. 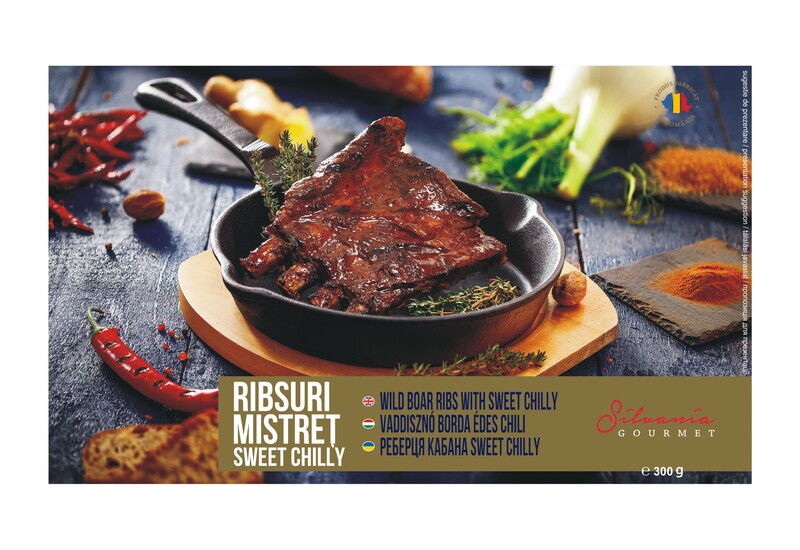 wild boar ribs (96%), water, spices (chilli 0.1%), sunflower oil, salt, glucose syrup powder, preservative (sodium citrate), antioxidant (sodium acetate), natural identical flavors (citrus aroma, meat flavor). 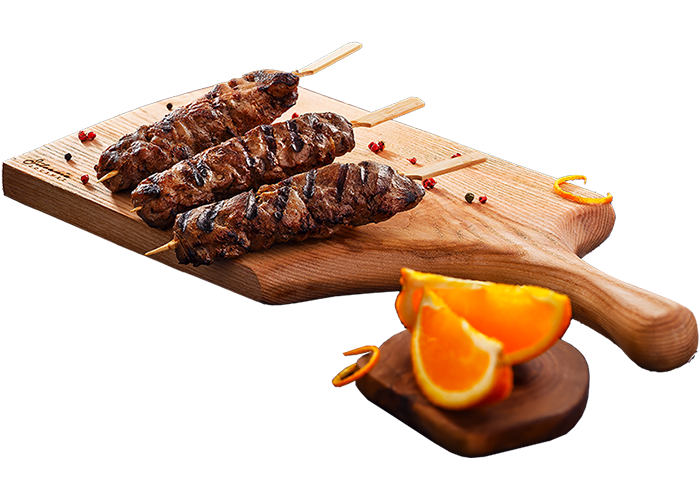 A dish with personality, a creative approach and a unique taste: the pheasant skewers marinated in orange peel become a true gastronomy joy. Bon appétit! 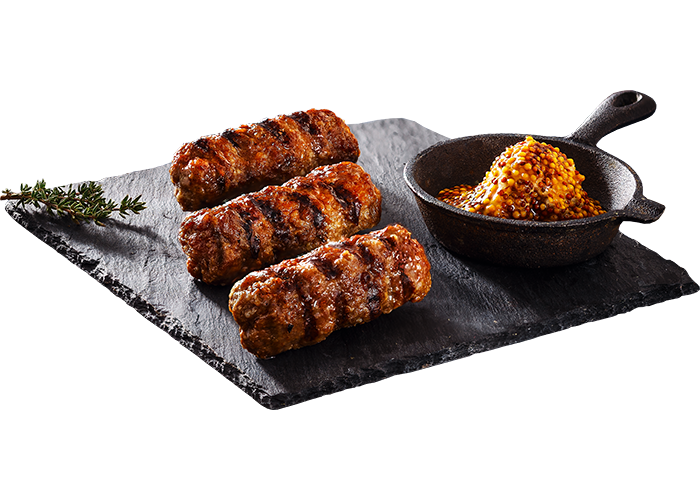 pheasant meat (90%), water, sunflower oil, spices, salt, glucose syrup powder, preservative (sodium acetate), antioxidant (sodium citrate), natural identical flavors (citrus aroma, meat flavor), orange peel, brown sugar. 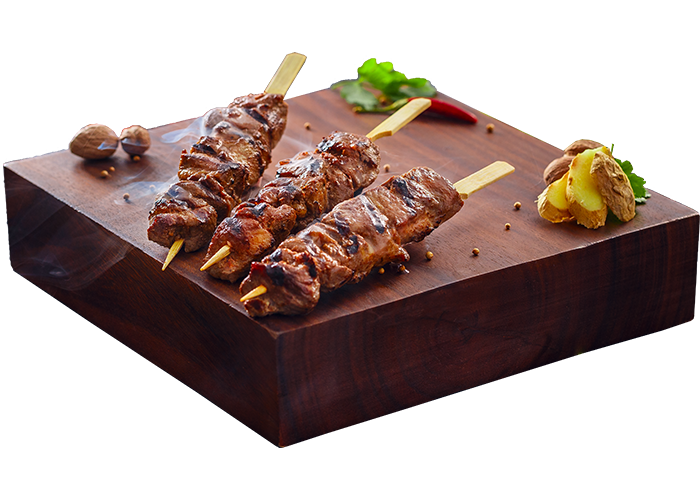 A symbol of Turkish gastronomy, the kebab seasoned with cumin, plenty of paprika and with the fresh and sour taste of the sumak, will charm your taste buds with flavors that are tough to describe.